Today’s x-ray technologies are keeping pace with the ever-expanding threat from explosive devices. The levels of sophistication that must be engineered into security x-rays machines cannot be overstated. Security x-ray machines use low dose penetrating radiation to detect metallic and non-metallic objects. The intensity of the radiation required will be determined by the facility’s security requisites. As shown, public facilities that serve vulnerable populations utilize x-ray technologies as part of a comprehensive safety & security plan. People entering are screened for weapons while the articles they carry can be simultaneously screened for non-permissible items such as contraband, explosive devices, and weapons. This entire entrance may be monitored remotely from protected areas to provide greater safety for security personnel. X-rays use an explosive device’s composite material to detect it. As an example, organic items can be made to appear in distinguishing color. Generally, explosives are made from organic materials, thus allowing personnel reading the x-ray scanners to identify such threats. Metal materials will show up in a different color on the screen. Security x-ray machines also identify potentially dangerous items by looking at the mass density and an atomic number of the substances of the materials being scanned. X-ray machine manufacturer Astrophysics, Inc. is designing technologies with artificial intelligence that can identify particular items such as guns. This technology may go a long way to reduce human error. X-rays even have alerts for those items that are too dense to examine. This countermeasure enables security personnel to detect attempts to shield or cloak of explosive devices, weapons or contraband. A density alert draws an operator’s attention to potential threat objects by highlighting materials that are too dense for an x-ray to penetrate. Such objects may appear to be black, signifying the material is too dense to inspect. The design of an entrance can facilitate the direction of the energy released from an explosive device. Depending on the site, the energy release is more likely to be directed either upward or outward away from a building. Quality manufacturers take into account that x-rays are used throughout the world and must be designed to work in different climates, from the tropics to the deserts and all environs in between. Most importantly, the best technologies in unskilled hands will prove ineffective. As with all sophisticated technologies, personnel training and continuing education on all aspects of a facility’s security mission are essential for an effective safety & security plan. Call Isotec Security Inc., today at (303) 974-7699 or contact our Sales Director Matt at msamels@isotecinc.com to learn how we can help you provide safety, and security to your facility. 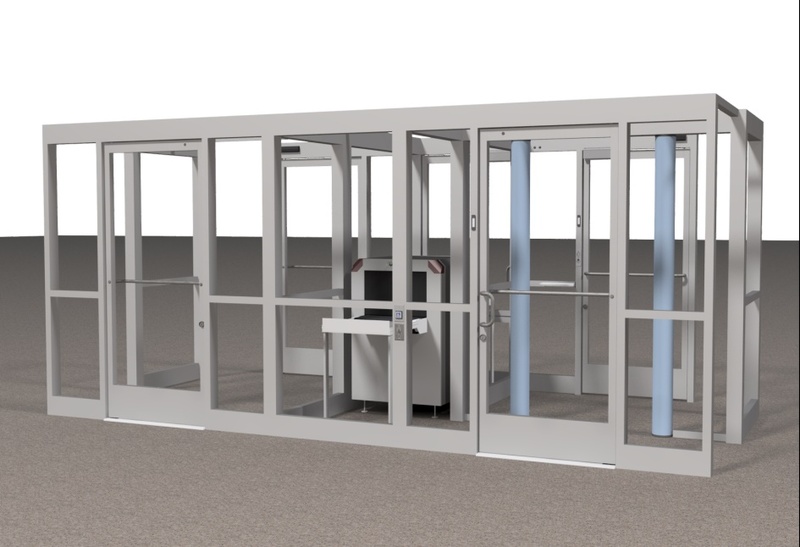 This entry was posted in Access Control, Airport Security, Anti-Terrorism, Courthouse Security, DHS, Isotec Security, Law Enforcement, School Security, Security Integrator, Security Monitoring, X-Ray Machine and tagged Active shooter plan, Airport Security, Law Enforcement, Metal Detection, Qualified Anti-terrorism Technologies, School Security, X-Ray Machines. Bookmark the permalink.